Philip Pullella, the senior correspondent for Reuters in Rome, has worked in Italy for Reuters for the past 30 of his 35 years as a journalist. He is among those who travel with the popes—in his case, Pope John Paul II, Pope Benedict, and now Pope Francis. There is arguably no one better qualified to ask questions of those in the pope’s inner circles (even though “it is virtually impossible to determine who, if anyone, is really close to him”) and then attempt to describe Pope Francis’ management style for his readers. He is keeping his cards close to his chest as he tries to push through a progressive agenda to make the Church more welcoming in the face of conservative opposition. Pullella relates a number of interesting stories of how Pope Francis works. On October 9th, he announced during a television interview the names of 17 priests he elevated to the position of cardinal. The new cardinals as well as everyone in the Vatican hierarchy were taken by surprise. One of those new cardinals who spent many years in an Albanian prison during the country’s dictatorship would not likely have survived the old Vatican vetting process. The cardinals elected him in 2013 with a clear mandate to reconstruct the Roman Curia, which assists the pope in governing the Catholic Church. The Roman Curia includes the Secretariats, the Curial Congregations, the Pontifical Councils, Pontifical Commissions, the tribunals, and other offices. Pope Francis’s open and candid style was illustrated when NPQ outlined in a nonprofit newswire the 15 “leadership failures” he discussed in an address to the Curia in 2014. Pope Francis took the conservative bishops by surprise early on, for example, when he suddenly streamlined the procedures by which Catholics can obtain marriage annulments. Known for his humility, concern for the poor, and his informal, if not radical, approach to ministry, such as choosing the Vatican’s guesthouse rather than the Apostolic Palace as his residence, it is fitting that he would choose to name himself in honor Saint Francis of Assisi. 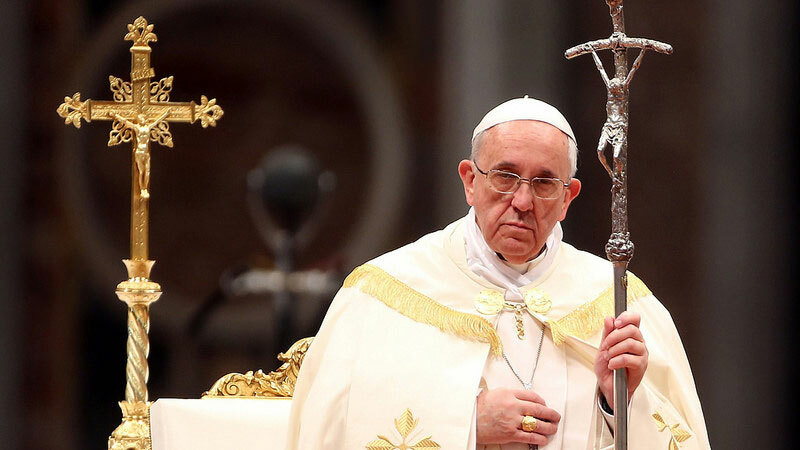 Pope Francis is the first Jesuit pope, the first from the Americas, and the first non-European pope since the Syrian Gregory III, who died in 741.